With the festive season fast approaching, fabric softener and conditioner brand Personal Touch wants to give you a reason to really love doing the laundry. Love doing the laundry you might say?! Come on! Well, with two R1 000 clothing vouchers from Mr Price Online up for grabs, you might feel differently about getting your new items washed and ready to wear again to your next fabulous festive outing! Endorsed by the SA Cotton Board, the Personal Touch formula reduces static electricity in your clothing, protects items from general wear and tear, reduces fabric stiffness and has a longer-lasting encapsulated fragrance. Personal Touch is available in a 2L bottle as well as a convenient 500ml refill pack. Simply comment below, and you’ll be entered into the draw. The giveaway closes on Friday 14 November, and the winners will be drawn via random.org. The winners will be announced on the Rattle and Mum Facebook page, and then emailed. The competition is open to South African residents only. The prize cannot be exchanged or redeemed for cash. Cars 3 is launching soon, and you can win Cars 3 swag worth R1 000! I’ve never tried Personal Touch, will definitely give them a try next time. Looks like an amazing product !!! Sound awesome.. will put one in my trolley next time. Never tried this before but will give it a try. Would love to win this awesome prize! Sounds good. I am going to try it!! Personal Touch is on my shopping list. I love Personal Touch, Lavender is my favourite. 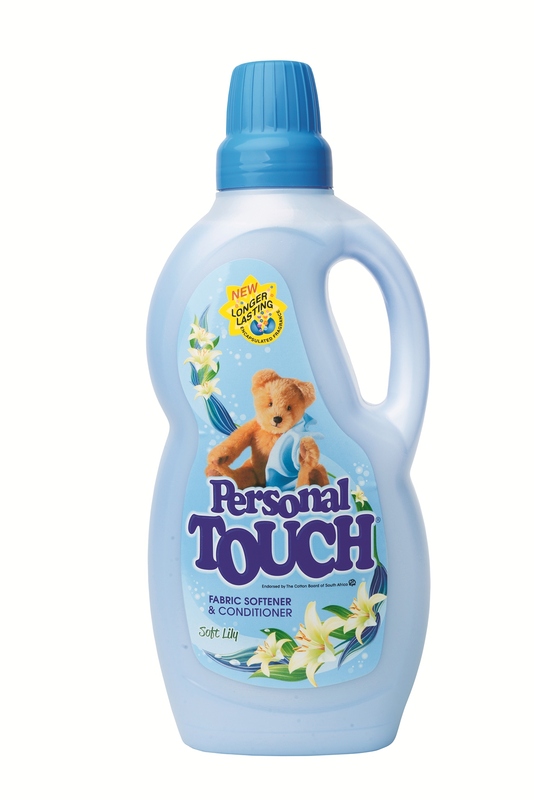 I have tried Personal Touch and I must say, it is an excellent product, great for clothes, easy on the pocket and keeps laundry smelling fresh and clean. Love the fresh smell of personal touch. Was not aware of this new product, but will definitely be trying it out on the new baby clothes that need to be washed! I like that Personal Touch is cheaper than the other brands but does the same job. Ooh a chance for a new wardrobe in time for summer! Sounds great am definitely going to try this! Real awesome product with the most amazing fragance… Love it!!! 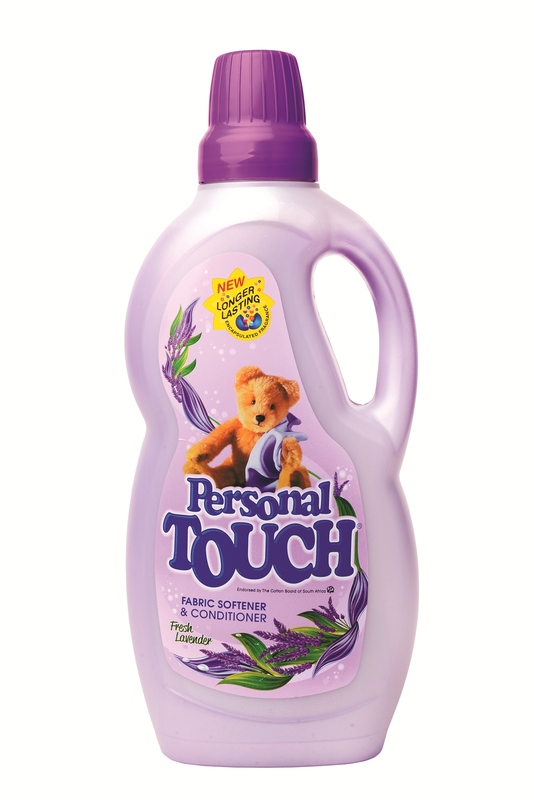 Since trying Personal Touch for the first time, no other softener will do for me. I love it! The soft lilly sounds like it could smell lovely! Holding thumbs, Desperately in need of some new work clothes! I’ll be keeping a lookout for Personal Touch on the supermarket shelves. Awesome giveaway… Awesome product, definitely need to keep an eye out for Personal Touch. Ooh, a voucher like this is just what I need to kit the brood out for the December holidays! Yay! This would be awesome to win! Everyone needs fabric softener! Really hoping to win 🙂 my birthday is tomorrow & splurging on mrp.com would be a dream!!! Always use Personal Touch, quality of it is beautiful. Will certainly try Personal Touch next…. I pray that somewhere somehow….we are reminded how special we are & that God is love! I remember promoting this product! Used all the free samples and converted a few of my family members. Think I’ll give it a try 🙂 looks cool!! Sounds like one I really need to try. This will be in my trolley to try! This is not a Fabric Softener brand that I know – will keep a look out for it ! Its good to have another option to compete against the well known brands. We should try Personal Touch. Love the sound of this, especially the fragrance! Shopping with a personal touch at Mr Price Online! I love buying online – super convenient and don’t have to deal with changing rooms, queues, not having the right size in stock and stuffy malls. Yay for Mr P Online! I love trying new fabric softeners! Will look out for it. Will be popping a bottle of this in my shopping trolley next time! Love Mr Price – will need to try “Personal Touch” sometime soon! Must try this. Thanks Tanya! This would be an awesome win! There’s enough electricity in Jozi’s storms for me… And it buzzes through the city as is so I don’t need it in my clothes!! If u’ve got a product that can limit the static then id love to try it! I like the new look packaging and bottle shape! Looks like it smells awesome too! Great new product to buy. Would love a shopping voucher for some Christmas presents for my family. MMMM new product? I love to test new products! I love Personal Touch, Lavender is my favourite. Try it! It would be really nice to win this prize. Never seen this, but always like to try new things. If I won the Voucher I would o ly use Personal Touch on my purchases! Holding thumbs. Would love to go clothes shopping! Love the product and the smell of it , heavenly. Definately need to try this product! Keeping my fingers crossed that I am the lucky winner…after being in maternity clothes for 9 months i need a new wardrobe to spoil myself! Lovely fresh fragrance…….smells like baby. Always keen to try a new product like that. Will be sure to keep an eye out. I’ll definitely be looking out for Personal Touch at my grocery shopping spree. Since buying my own house, i have been forced to do my own laundry! Fabric Softener is a life saver. Need to try the new Personal Touch when i do my next batch of laundry with the Mr Price clothes that i will hopefully win. This will be a welcome win for a much needed new summer wardrobe for the kids and myself! Awesome product! Much better than most of the more expensive brands! Personal touch ,so awesome ,my clothes so fresh & soft .when the washing is up on the line it’s like walking through an enchanted garden ,you can walk that walk & flash the smile when you look clean & fresh. Reassuring that Personal Touch is endorsed by the SA Cotton Board. I will def be trying this product asap!!! Personal Touch is an absolutely amazing product, I highly recommend it. Personal Touch is affordable and works really well, I could do with a new wardrobe, been years since I have bought something new. will definately be trying Personal Touch! Pick me!! Would love to win this! Fingers crossed! Thank you for informing us of this awesome new product, I’m always keen to try new items, especially when you have children to consider and so excited to find out about this one for their precious clothes, I’ll definitely be trying it out. Thank you! Does what the name says. Gives a personal touch! !! I <3 the Fresh Lavender fragrance! Have been using Personal Touch for a few months and love it! glad to read more about the product which now will be on my shopping list. The voucher would be amazing to win as could do with a wardrobe revamp for Summer. I will keep an eye out for this product when shopping. would definitely give it a try. On my shopping list. Voucher would def come in handy for the jolly season. Awesome prize , will give it a try. It smells divine … leaves your clothes baby soft !! Love it and would love to win this awesome prize! Looks good – would like to give it a try. Where can one get a bottle from – is it readily available at stores? Here’s hoping I’m lucky enough to win a voucher. Phew, with not having done shopping in a long while, I will be crossing my fingers, toes, arms, legs and eyes for this. Great product with a great smell! Love using it on my families clothes!! !